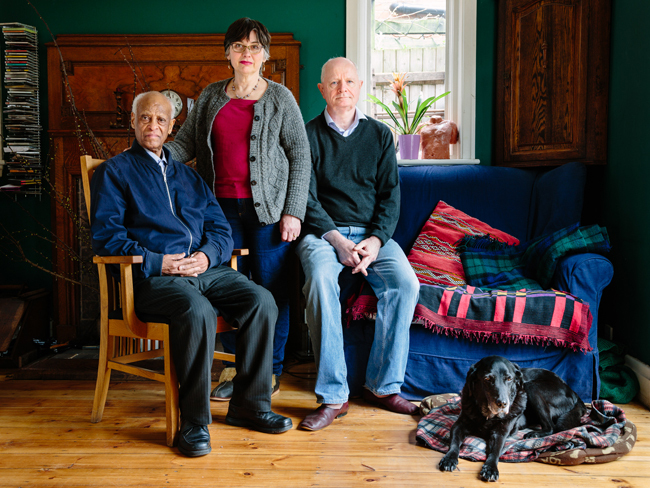 ‘Great British Welcome’ introduces the UK chapter of ‘No Stranger Place’, an exhibition of photographs and stories portraying refugees and their hosts across Europe, developed by photographer Aubrey Wade with UNHCR, the UN Refugee Agency. In recent years, many people across Europe have embraced compassion, hope and humanity by opening their homes to refugees, helping to bridge cultural divides and language barriers – even as some governments erect obstacles. Wade recently met and photographed some of the British hosts whose generosity and care is helping to transform the lives of a few of those forced to flee, and the exhibition offers visitors a personal insight into their lives together. It also includes portraits from Germany, Sweden, France and Austria.